OneSight is truly excited to upgrade its membership and now become a Group B IAPB member. As we continue to grow our approach and programming, it’s an ideal time to also deepen our relationship and expand our role in IAPB. So consider this a re-introduction to the community. Here’s a little of our story and why we’re looking forward to what the future holds for all of us as we work together to build a world with universal access to eye health. 30 years ago, OneSight got its start (under a different name) as an experiment: what if we took people’s old glasses and gave them a new life by giving them to people who otherwise couldn’t afford them? That turned out to be a big idea. Over the next three decades we’ve honed and refined our approach. 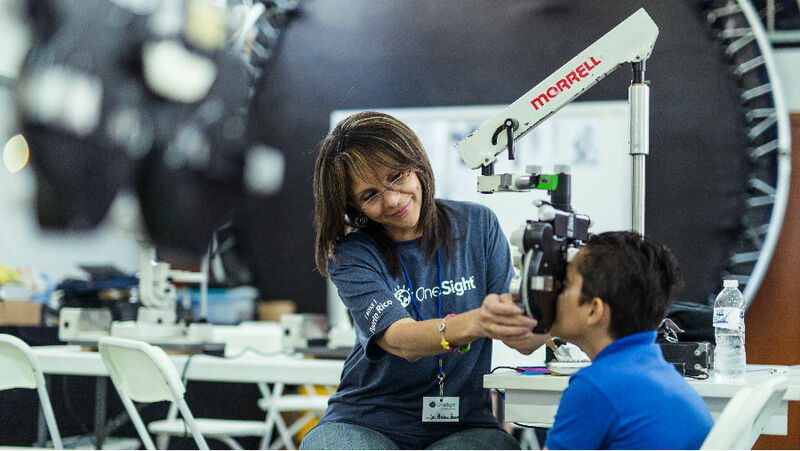 Today, we are able to bring eye exams and the ability to manufacture new glasses to those in need almost anywhere in the world through our charitable vision clinic programming. Along the way we realized something important. Clinics that treat thousands of people for a limited period of time are important for helping communities with an acute need or who lack the infrastructure to create permanent solutions, but they aren’t sufficient to end the problem of lack of access to vision care on their own. So today, we operate under an expanded mandate: how can we eliminate the vision care gap that exists for 1 in 7 people around the world that puts clear sight in the form of glasses out of reach? 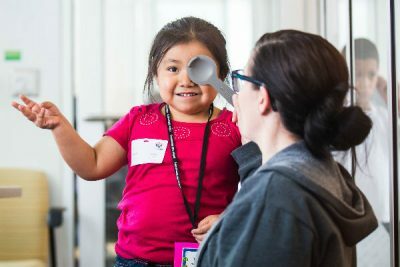 Answering that question doesn’t end the need for charitable efforts but it does open up the need to create permanent solutions that bring vision care within reach of those who don’t have it. By partnering with different countries, health systems, and retailers we can help communities build solutions that work for their specific needs. Millions instead of thousands can be served without creating a reliance on an external organization. Today, more than 20 million people have access that they previously lacked, and that number will continue to grow as our sustainable programming expands. Our journey has taught us quite a few things: how to look for efficiencies and new technologies that can help us reach people that were previously inaccessible. How to work with governments and organizations on the ground to build long-lasting solutions, and how to find great partners that enhance and complement each other’s capabilities. That last point is particularly relevant to working with the many and talented organizations that are part of IAPB. We look forward to working together to help the world see, learning from each other, and building new relationships and partnerships to tackle the challenges that lie before us and celebrate the successes that each of us has along the way. As we like to say, victory is in sight!